it's me - Lily! Long time no see! 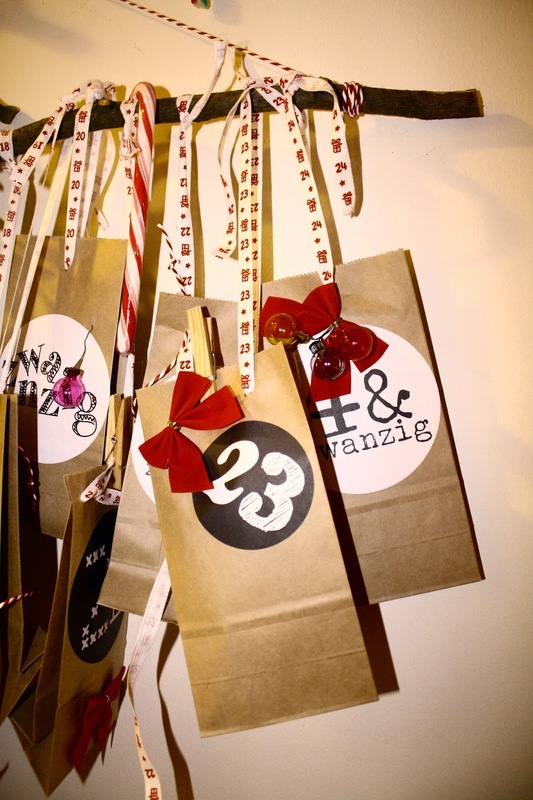 ;) Today I will show you in a little guest posting my this year's branch advent calendar which was super easy to make. First you design your paper bags as it may best please you. With the scissors, make a little hole in the bags and run in the bands/cords. I cut out some cute motives from an IKEA gift wrapping paper. You can use wooden pegs to hold the paper bags together if you like to hang them a little lopsided. PS: If you liked this post you might also like this and this one. was für eine tolle Idee!!!! SUPER!